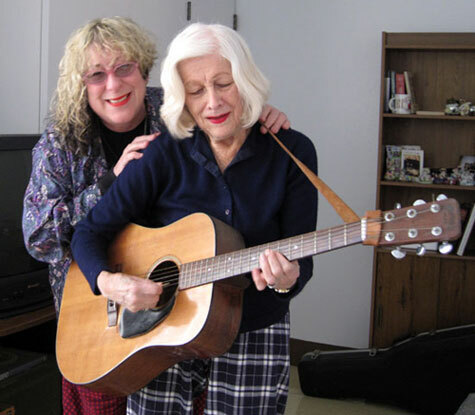 The Allee Willis Museum of Kitsch » Del Rubio Triplet Update! 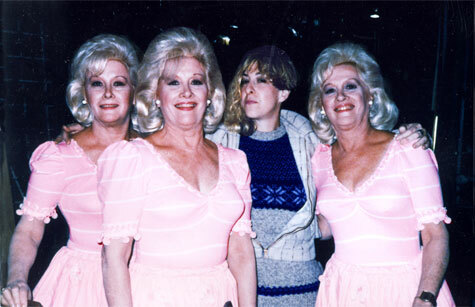 After seeing the incredibly warm and enthusiastic response to my post a couple of weeks ago of me with my proudest musical discovery, the incomparable mini-skirted/ go-go booted Del Rubio Triplets, I am happy to announce that I’m working with Millie, the surviving triplet, on a possible comeback. Great progress was made this weekend in reuniting her with her guitar for the first time since Eadie, the oldest triplet (by 15 and 30 minutes respectively) left us in 1996. Still too early to tell if a concert is in the making as it’s clear it will be a long road back, but the mere fact that the guitar case was cranked open and the first dreadfully out of tune chords were struck is reason enough to keep hope alive! Will keep y’all posted.